Company leaders need to learn how to manage freelancers remotely as they shift from traditional hiring to the freelance option. There are numerous skilled and talented people around the globe that can help build a company. Therefore, company leaders are enticed to hire people from different cities, states, and countries. Leaders have realized that manage freelancers remotely requires a different approach than managing in-office workers. As a company leader, you must consider putting in extra effort to ensure that remote freelancers engage and stay productive and on top of their games because often times it is easy to succumb to the “out of sight, out of mind” mentality. One of the most important factors to effectively manage freelancers remotely is having strong, open, and frequent communication. Communication is an important key to help remote freelancers thrive and have successful work output. Maximizing smartphone technology to manage freelancers remotely makes your tasks and responsibilities easier and more convenient. The use of smartphones to manage freelancers remotely is now practiced by many company leaders because of the benefits it offers. A report from Flexjobs says that there are roughly four million people working remotely from home in the United States alone. 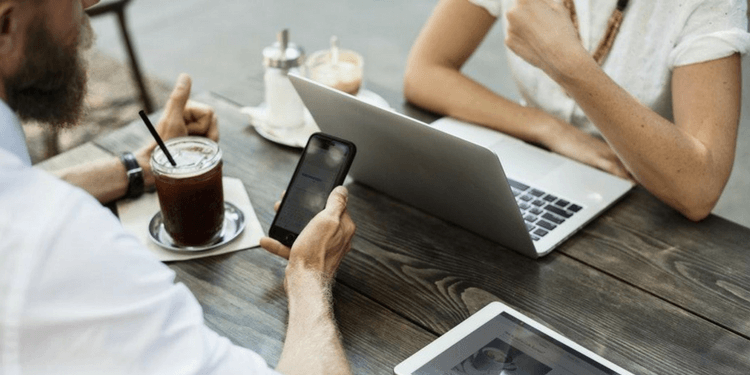 Convenience – You can use communication tools and apps from your mobile phone to reach out to freelancers almost anywhere as long as you have data or an internet connection. Keep track of work or project progress – Mobile phone apps can also help you keep track of progress, so you’ll know if they are productive or not. Check emails – Email is one of the best ways to communicate with freelancers, and you can access your email 24/7 using your mobile phone. Calendar – You’ll have easy access to your calendar of events, meetings, and even interviews. This is especially useful when you’re depending on it to manage your schedule. 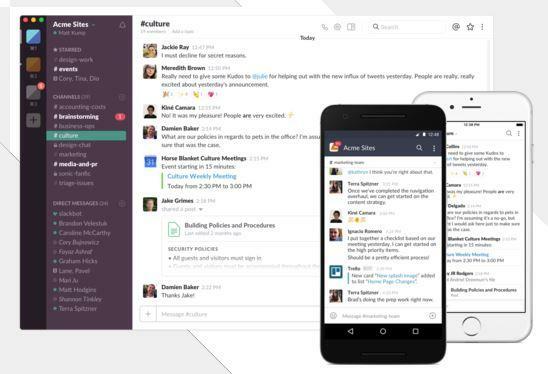 Slack is a revolutionary messaging app which is easily accessible using your smartphone. It is an excellent communication tool that keeps everything in one place. It is one of the most efficient tools for having company discussions, whether formal or informal. Remote freelancers need a headquarters, and Slack is a great one for the virtual world. You can use it to brainstorm, exchange files, compare notes, and ask each other questions. It can also serve as a social way for everyone to communicate and talk about anything, work related or not. It is the perfect virtual water cooler for everyone. Hubstaff is a popular alternative to freelancer platforms like Upwork, Airtasker, and Freelancer. Hubstaff, like FreeeUp charges no sign-up fees. This is recommended for start-up small businesses because the savings can make a huge difference. Hubstaff also records screenshots, keyboard strokes, and mouse activities. This helps you track work. You can also set a weekly budget for payments and schedule automatic payments on this platform. 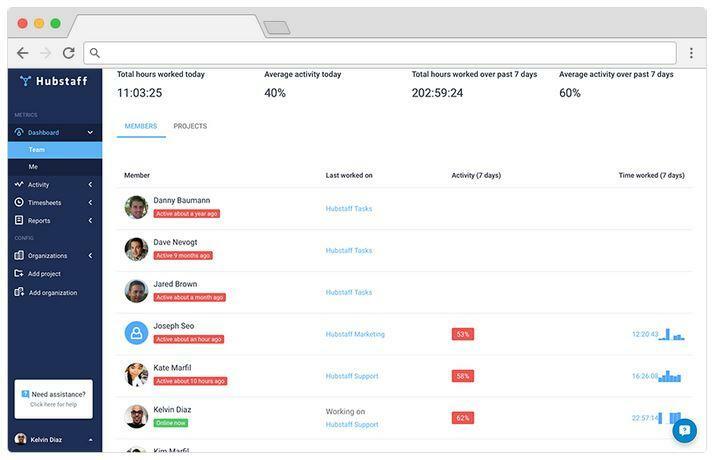 From a single dashboard, you can set up freelancers and see which URLs and apps they spend time on, and know if they are getting their work done. Keep is a note-taking app developed by Google. It can be used for to-do lists that are worked on by both individuals and multiple freelancers. 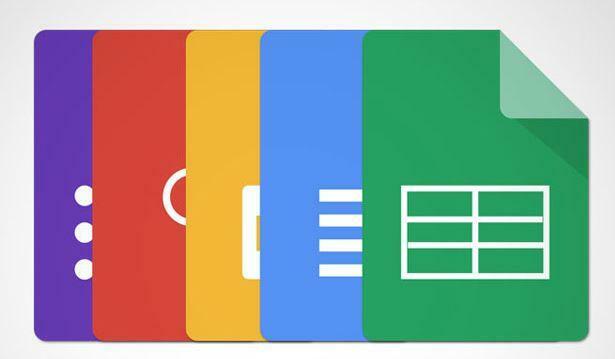 This app offers a ton of features for collaboration, and can easily be integrated with other Google products such as Google Drive, Calendars, and Gmail for Business. Google Drive is probably the most used file storage service for many startups and home-based freelancers . Aside from the service being offered free of charge, it also allows users to instantly share and collaborate on different types of documents in real-time – text-based, slide presentations, and spreadsheets to name a few. This is another product that allows users to communicate through voice, video and chat messaging. Because it’s from Google, video calls can also be recorded and saved as YouTube videos. Communication is considered a vital element in the success or failure of remote freelancers. A study conducted by The Radicati Group says an average individual receives about 90 emails daily. This number includes messages from suppliers, clients, collaborators, and more. However, email is not the best way to communicate internally. Poor communication is one of the reasons why a project can go down the drain quicker than anything else. There are a lot of times when important queries and information will get lost in the back and forth. This is especially true with remote freelancers who don’t sit close to each other. To combat this problem, there are communication tools you can use to help you manage freelancers remotely. There are free tools you can use to implement a reliable system. 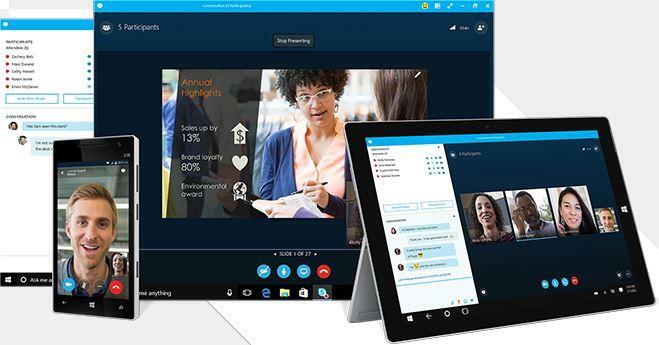 Tools such as Skype for Business help you and freelancers send and receive instant messages and files in a breeze. This instant messaging feature is probably the most useful element of the tool to manage freelancers remotely. Skype works amazingly across all smartphone devices, so you can use it almost anywhere. It quickly allows you to video call or chat one-on-one with freelancers. Assigning tasks is vital to efficiently manage freelancers remotely. Having an effective system makes it easier for you to keep track of everyone’s progress. A to-do list program makes tasks easier to assign and gauge, especially when you have that app on your smartphone. A survey conducted by Deloitte in 2016 found that about 61 percent of individuals check their smartphones within five minutes of waking up. Taking this into consideration, having the to-do list there is an easier fix for everyone to know what their day will be like while having their morning coffee. 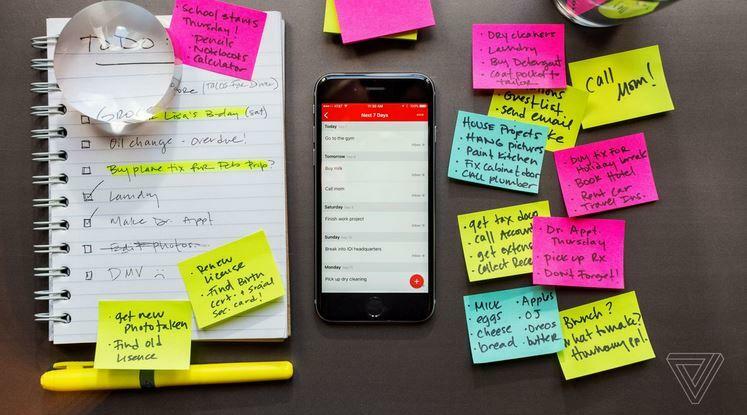 There are numerous to-do list apps available for smartphones now. One of these apps is Todoist, which can help you and freelancers accomplish more every day. Todoist is free and has extensions for more than 10 platforms, making it great for integrating with other tools you use. You and freelancers can also collaborate in real time on shared tasks using Todoist. Its design is intuitive and beautiful, not to mention distraction-free. Staying productive is a challenge to effectively manage freelancers remotely. Most of the time, people working from home can face a lot of distractions. Even getting out of bed can be a huge struggle because they don’t have a supervisor keeping track of when they sit down at their desks and start getting things done. Another is the frequent temptation to check social media accounts because they are free to do it from the comfort of their homes. Taking long lunch breaks with Netflix is all so very tempting. As a company leader, you cannot afford poor productivity from remote freelancers, although they will always have a certain degree of freedom that you have to deal with. As a leader you need to manage freelancers remotely with a balance of trust and guidelines. Make your expectations clear and have data-backed reports relating to productivity and task completion. To effectively manage freelancers remotely, let them work, but make sure you are not letting the roam wild. A daily digest update from remote freelancers is an ideal way to keep track of their productivity. You can use Google Docs to have access on both ends, and freelancers can update sheets easily with the information organized and instantly available to you. Google Docs is also an excellent system for collective document editing. Editing shared documents is easiest with Google Docs. It is designed to accommodate almost every type of device, so users can have full visibility of their documents and files using their smartphones, whether Android or iOS. Having the ability to meet deadlines is what defines a successful freelancer. Failing to do so makes company leaders like yourself look irresponsible and ineffective, not to mention making remote work look like a bad option to others. Therefore, it is important to manage freelancers remotely with a solid program to keep deadlines organized. 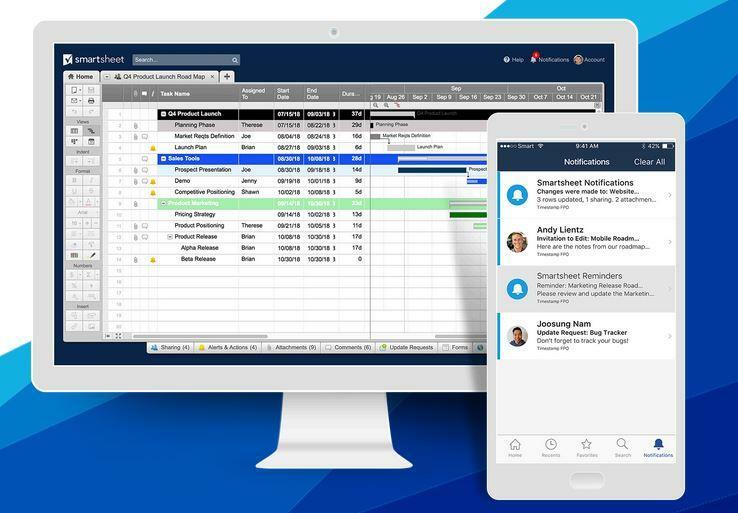 Smartsheet is an automated tool that plans, tracks, automates, and reports on work. It empowers freelancers to execute tasks with speed and accountability. It increases agility with its intuitive and simple interface and empowers you to configure, improve, and adapt work processes to a speedy execution. Keeping freelancers on track throughout a project’s execution is one of the most difficult aspects of successful operations. Using a program that provides intuitive tracking on task completion is part of the smart way to manage freelancers remotely. It helps you ensure that they are focused on their priorities, especially when the company is in the middle of rapid growth. Using Workzone can help you implement project management and collaborating principles to keep records of what’s happening throughout each day. It’s “Project Tracker” feature facilitates on-time task completion and gives you an in-depth look at progress reports that is supplemented with charts that lay out the exact milestones and timelines which are needed for each task. Being able to trust freelancers to accomplish their tasks without the need to micromanage is a key factor. You have to keep in mind that trust empowers remote freelancers to do their best and take responsibility for their tasks. You need to define and make sure that specific accountabilities are clear for each freelancer. Do this by scheduling regular conversations to discuss task progress updates. This will help them know when and how to connect with you and each other and give each other support to come up with the desired and successful outcomes. It is important to maintain transparency about what your company is doing. You have to ensure that you’re tying everyone into the company’s mission, vision, and values because it keeps them engaged even if they are not physically present at your office on a daily basis. 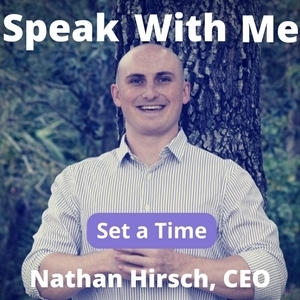 Making time for small talk is equally important to efficiently manage freelancer remotely. It might be easy to just talk about what needs to get done and end the conversation. However, you might be missing out on an important part of management. You must build a rapport with every freelancer. This will help you address any problems. Rapport is getting to know someone as a whole person and not just who they are professionally. It will also help you get connected to freelancers who are not physically there. Having longer one-on-one meetings can help you and freelancers address problems that need solutions. It can also help you discuss a variety of topics related to work. With one-on-ones, you can let freelancers know where they are doing well and how you appreciate their efforts. You can also let them know what areas they need to make improvements in. In the continuous growth of the corporate industry, having the ability to work from home remotely is one of the most liberating experiences. It allows everyone to spend more time with their families, have time for important things they want, and achieve work-life balance. The use of smartphone apps and tools makes it even more liberating because you can conveniently manage freelancers remotely with access to almost everything 24/7. Jason Acidre is the Co-founder of Grit. He’s also the digital marketing strategist at SaleHoo, an ecommerce education portal specializing in dropshipping. You can follow him on Twitter @jasonacidre. Should You Hire a PPC Freelancer For Your Business?How Do I Communicate With Freelancers? Nice! Love the app suggestions. Accountability is super important. Some freelancers are intrinsically motivated but it helps a lot to keep things tight. Slack is great. I also use AcctiveCollab.